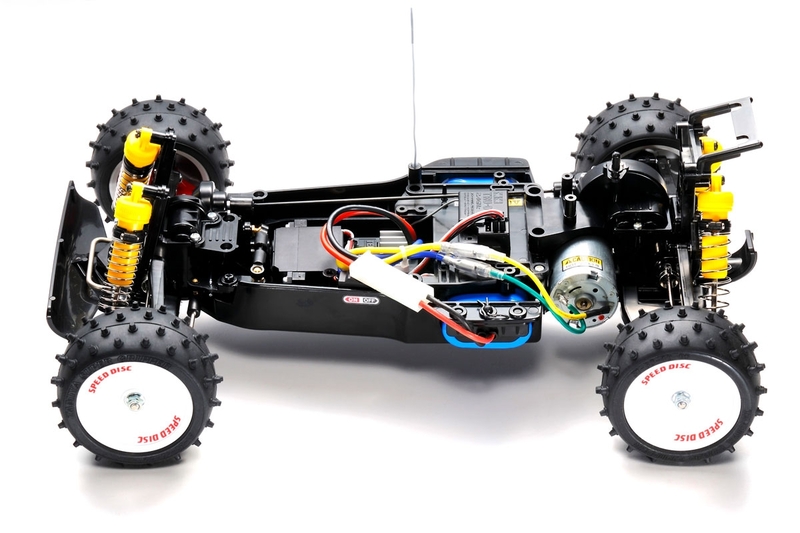 This R/C car made a name for itself when it was originally released in 1990 for being popular as both a beginner-level off-road buggy and an easily upgradeable car for veteran radio control hobbyists. The body is inspired by the sleek curved shape of Manta Rays and is made from lightweight and durable polycarbonate. 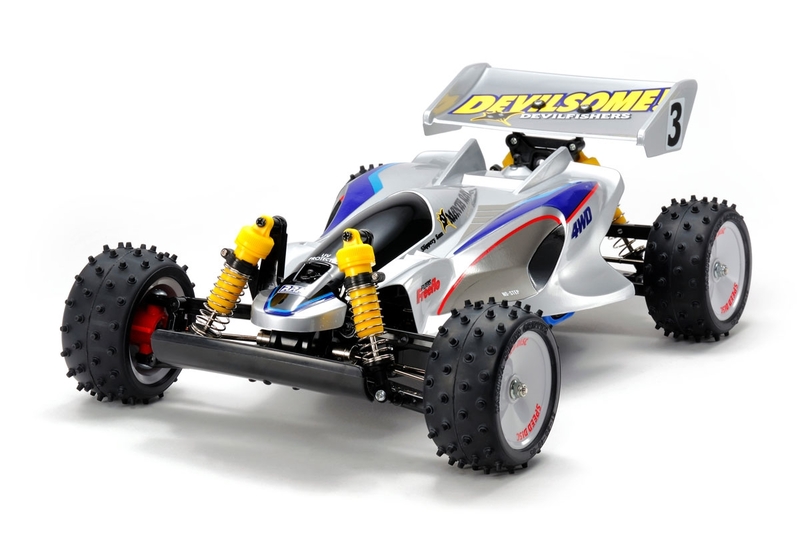 Downforce is provided by the large rear wing and traction is provided with all-terrain spike tires mounted on dish wheels to provide excellent handling on any surface. All of the radio components such as battery and R/C mechanisms are mounted in the center of the honeycomb bathtub frame for optimum balance. The cars bathtub chassis is mated with 4-wheel double wishbone suspension and equipped with CVA oil dampers for stable running in off-road conditions. 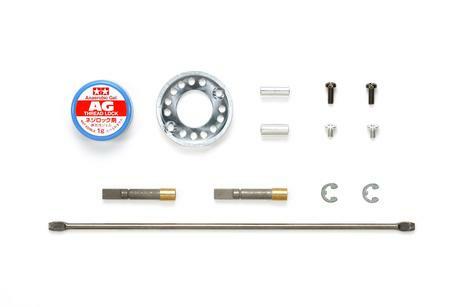 4WD drivetrain features front and rear sealed gearboxes with internal differential gear units for smooth cornering, and the gearbox itself features a quick-access hatch for convenient and hassle-free maintenance. 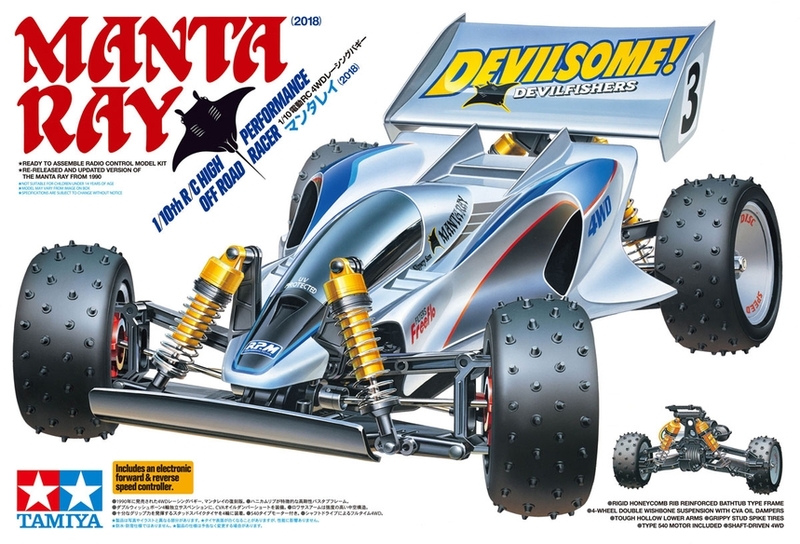 Requires A Requires: 2-channel radio, steering servo, 7.2volt battery & battery charger and Tamiya PS Spray Paint.